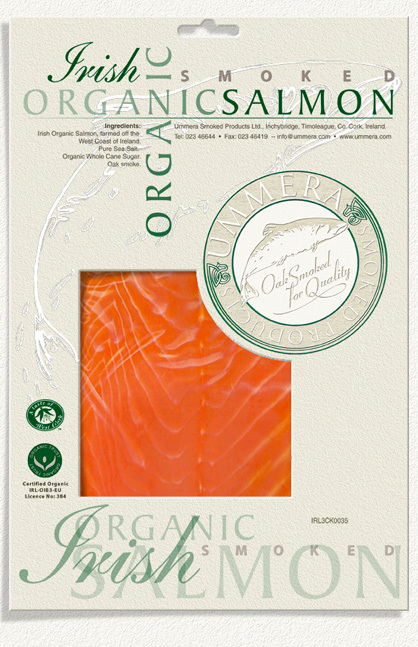 We believe the word Organic displayed on Farmed Salmon and Smoke salmon is completely wrong and only offers to manipulate customers into buying farmed salmon from supermarket shelves. What can the Consumer's Association of Ireland do about this problem? Thank you for your email. 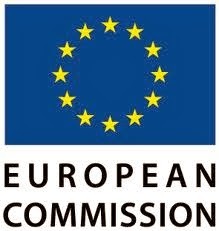 We currently work very closely with the Food Safety Authority of Ireland in relation to all regulation. 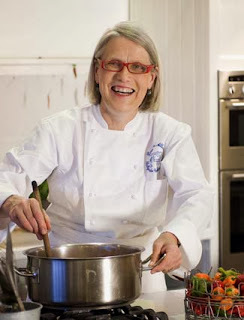 Currently we are looking into the definition of ‘Artisan’ which will cover a range of foodstuffs. Specific to farmed salmon, this is being investigated at European level of which we are part of, through our membership of BECU. 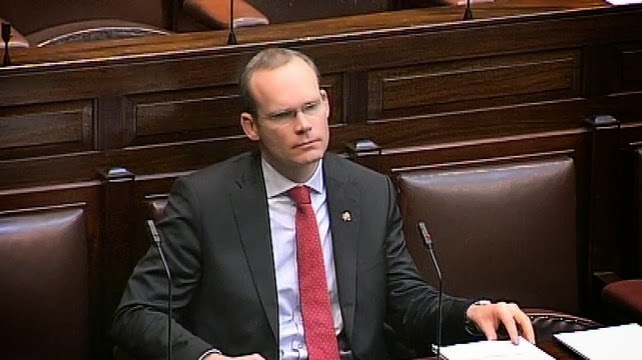 People across the country are calling for Minister Simon Coveney to immediately step down as Minister for Agriculture amid perceived refusals to answer questions in the Dáil on the fish farm controversy. 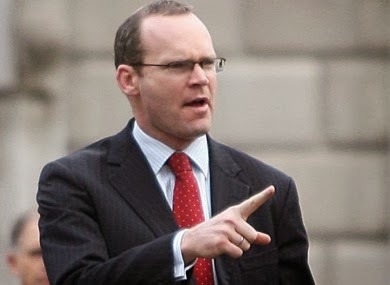 The proposal by An Bord Iascaigh Mhara to locate the 1,126 acre, 15,000 tonne, open caged salmon fish farm off Inis Óirr, is now halted pending an EU investigation and Minister Coveney now has until January 15 to explain the situation. 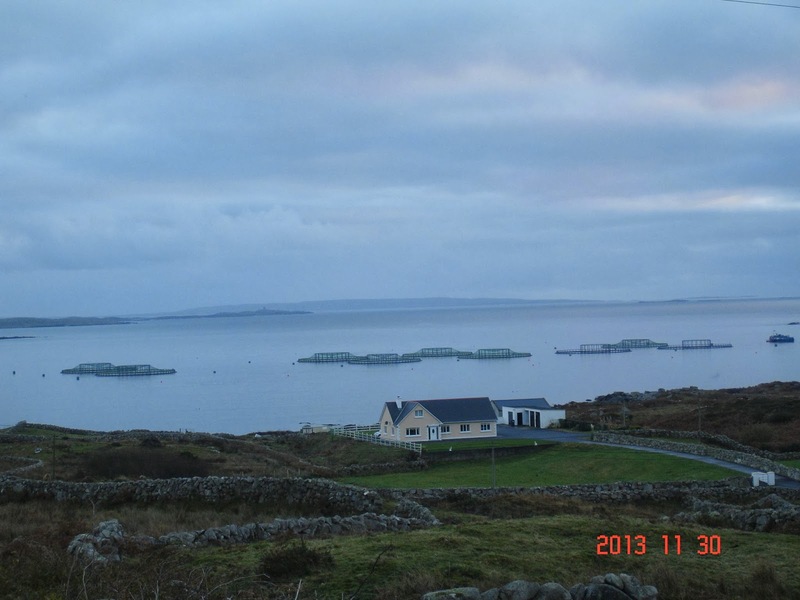 The Galway Bay Protection Group, a body made up of doctors and medics concerned by the health implications of a fish farm, has welcomed the EU Commission’s decision but believe a public enquiry is also needed to examine the entire issue. 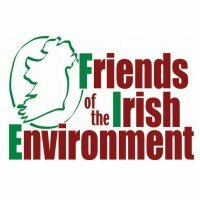 Meanwhile, Save Bantry Bay and Friends of the Irish Environment submitted Freedom of Information request for all documents relating to a previous EU investigation. 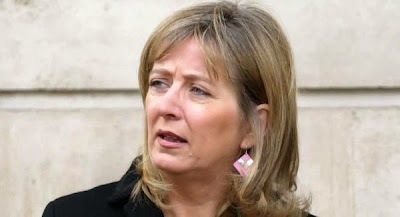 Upon receipt of the documents it quickly became apparent vital evidence was suppressed, and requests were sent for the European Commission to reopen their investigations. 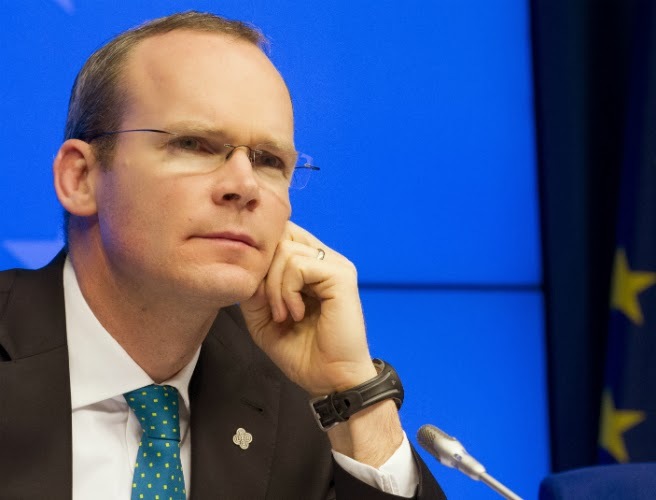 There is now a calling for Minister Coveney to step down as Minister for Agriculture. 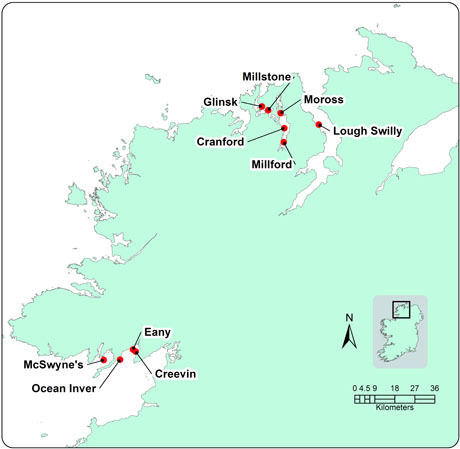 The destruction of Kilkieran Bay and Bertraghboy Bay by our state. 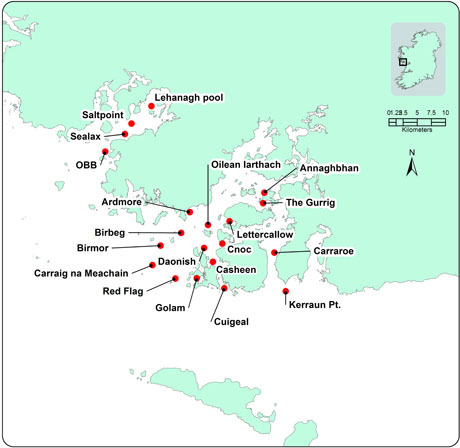 Nine new cages for Kilkieran Bay and 5or 6 for Bertraghboy Bay in Connemara and more to be added. You could practically walk to them from the shore and this is an SAC and SPA. 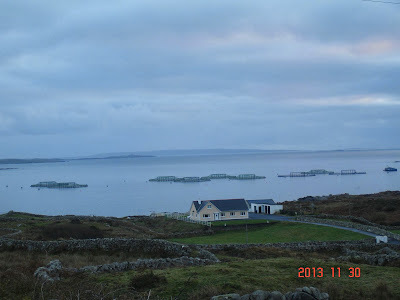 Again economically supported by Udaras na Gaeltachta and now run by a multinational salmon feed lot operator. 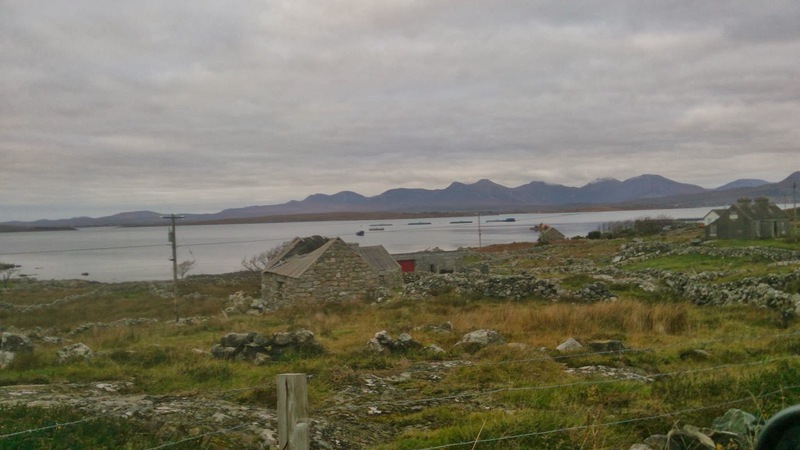 Replacing salmon farms that never worked and got huge funding from Udaras na Gaeltachta in the past and this is a SPECIAL AREA OF CONSERVATION. It is a total disgrace. Consumers Beware! 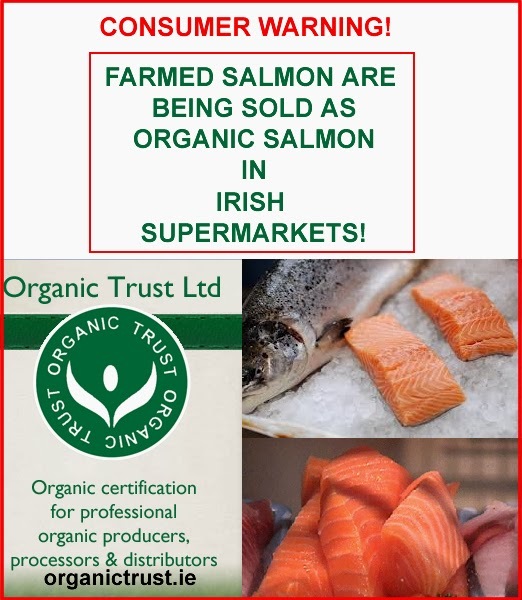 Our message for Christmas 2014 is don't buy organic/smoked salmon. 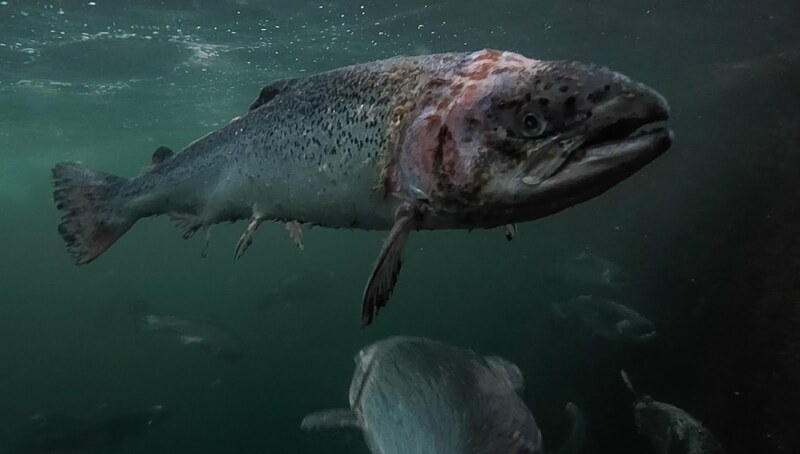 There has long been concern that escaped farmed salmon may harm the various wild fish populations through hybridisation and altering the gene pools of wild populations (Hansen et al. 1991).There are several problems that can arise in this connection. If the farmed salmon have different characteristics and adaptations from wild salmon populations, gene flow may cause the wild salmon populations to lose characteristics that are crucial in a natural environment, while they adopt more of the farmed salmon's characteristics. On the other hand, if the escaped farmed salmon have less genetic variation than wild stocks, gene flow to the wild population will cause individual populations to lose variation (Tufto & Hindar). Variation is essential for two reasons (Hedrick, 2000), evaluated from both a short-term and a long-term perspective. A population that loses variation and thus becomes genetically uniform will be less resistant to disease and parasites. Or put another way: it is easier for a parasite to adapt to a population of genetically similar individuals (few polymorphic loci in the population and low heterozygosity) and where the individuals themselves have little variation (the individuals have few heterozygous loci). 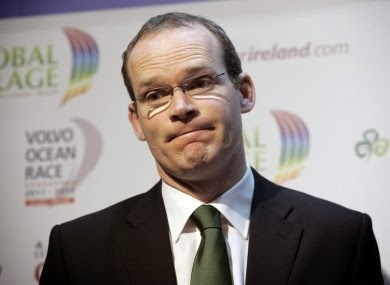 Additionally, in theory some of the harmful, recessive alleles will increase in frequency and produce less viable individuals (inbreeding depression). Studies just out (Reed & Frankham, 2003) empirically show that there is a good connection between fitness and heterozygosity, population size and quantitative genetic variation. Heterozygosity explains about 20% of the variation in fitness. In the long term, a population with little polymorphism will not have as great an evolutionary potential as a population with a lot of genetic variation. All escaped farmed fish will come from a small number of farmed populations, which will lead to different populations becoming more like one another. It has also been claimed that coadapted gene complexes may dissolve. The following is an attempt to clarify relevant concepts and summarise empirical studies. The labeling "Responsibly Farmed" on farmed salmon in Irish Supermarket Chains is a complete contradiction. Why you may ask? In the nutshell, science has proven the negative impacts Salmon Farms have on native species of juvenile sea trout and salmon. It is far from Responsible to place a salmon farm on any coastline in the direct migratory path of native species. 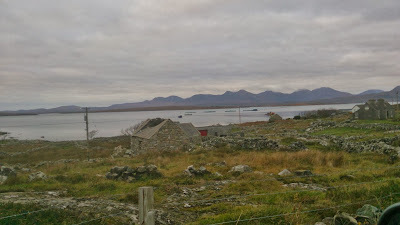 Salmon farms have proven to be connected to the mass decline of sea trout and salmon in many river systems around the world. 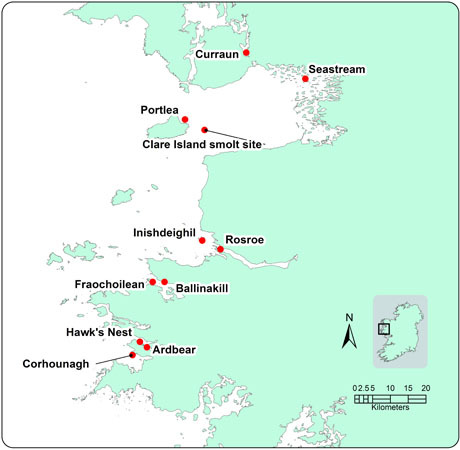 Lets not forget the famous sea trout collapse in Connemara after they placed salmon farms along the West Coast of Ireland back in the 80's. And here we are in 2013 with major supermarkets chains trying to convince their unknowing customers that everything is ok since a label has been added to fancy packaging on farmed salmon with famous words like "Responsibly Farmed" or "Organic". All to allay any fears or suspicions to the customer that anything is wrong. 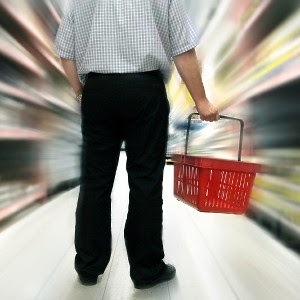 So the customer adds the salmon product to their basket and heads to checkout. 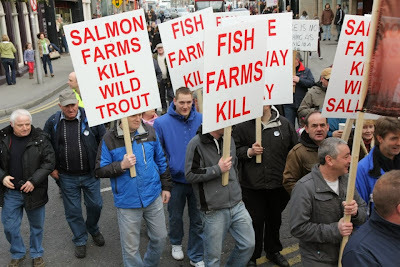 The money from this bought farmed salmon then lines the pockets of the supermarkets and salmon farmers which is a multi billion euro industry. 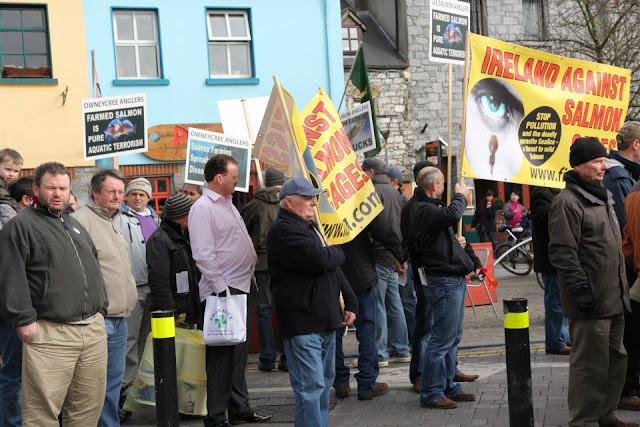 The losers in this game are you the public, native fish species and local environment. 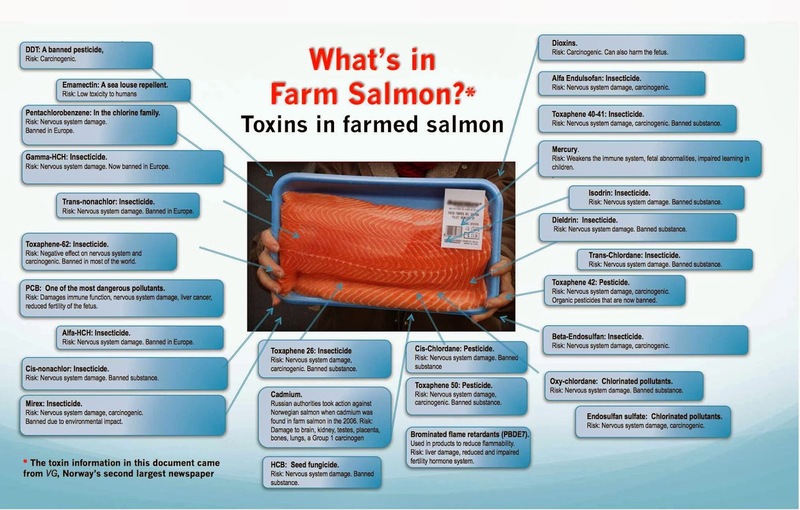 Lets not forget the human health issue's associated with farmed salmon. The fish are artificially fed, dipped in chemicals and pesticides and grown in packed cages that hold up 250,000 salmon. Ted Browne and his wife Hannah Mae started this family business from a garage in the back garden of their home in 1984. Top quality fish for sale. 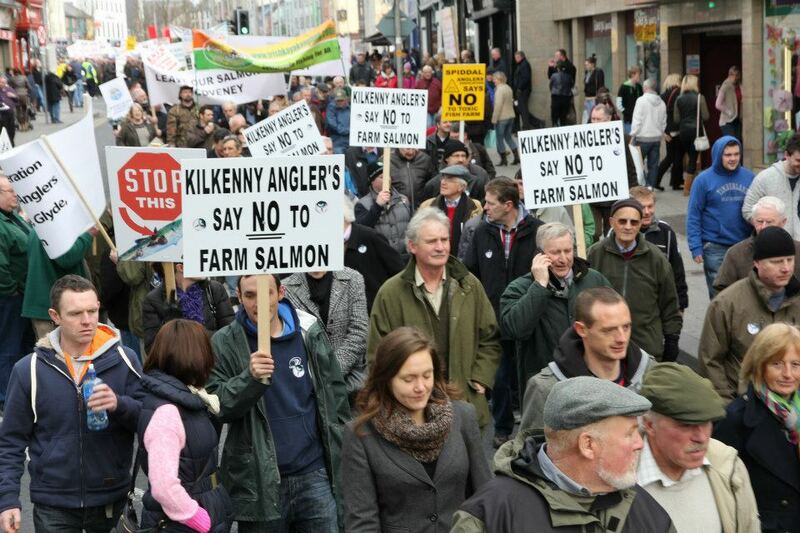 Kenmare Select is a leading exporter of Irish salmon smoked in the country of origin! 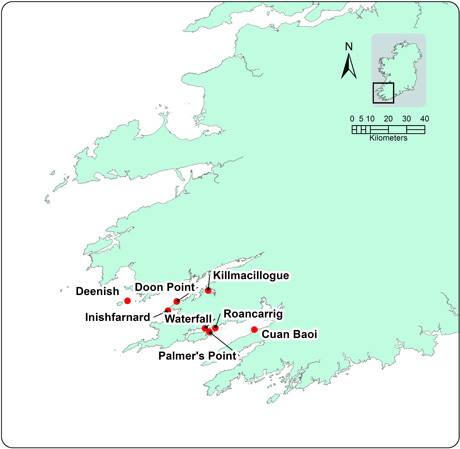 We are a second-generation family business taking our name from the nearby Youghal Bay (pronounced 'Yawl'). 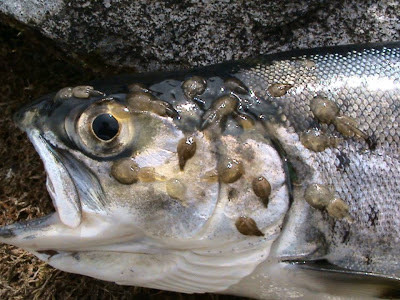 Scientists Issued a devastating new warning last night about the safety of Scottish farmed salmon. They said the fish is so contaminated with toxic chemicals it should be eaten no more than three times a year. The next anti salmon farm proposal protest is planned outside Enda Kenny's office in Castlebar on 27Th April @ 1400hrs.